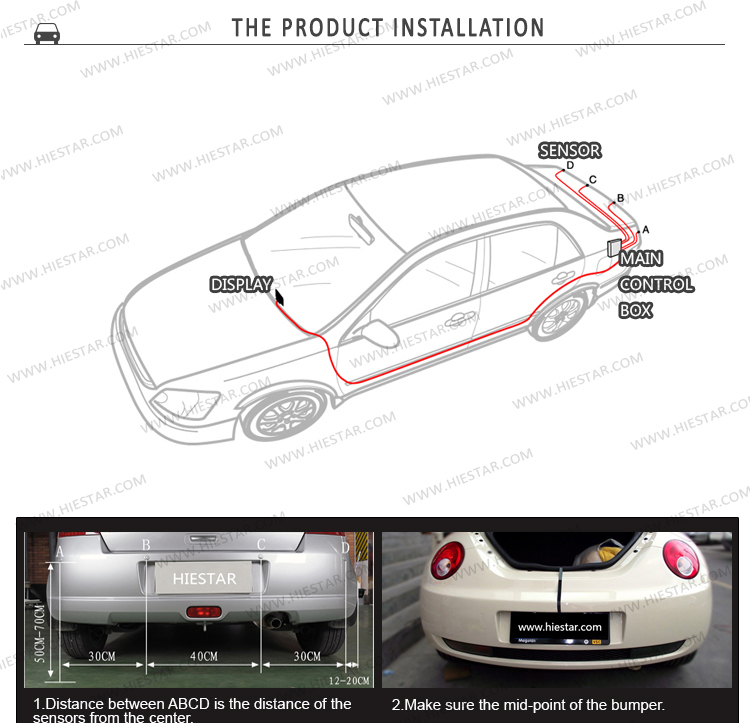 Car parking system as well as rearview mirror. 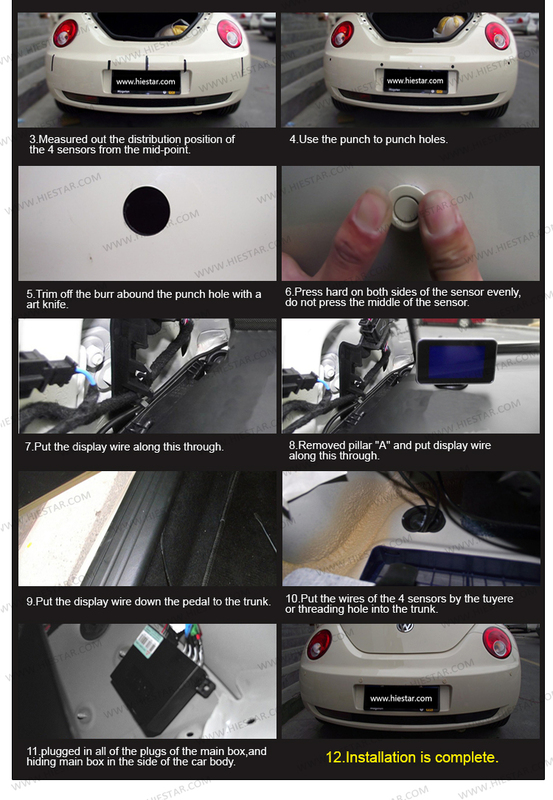 Can directly replace your original rearview mirror. With digital colored LED display: obstacle distance (meter); multi-color light &amp; word (STOP). With sound alert when the 4 sensors detect dangers: the closer the obstacles, the louder and faster the sound alert.